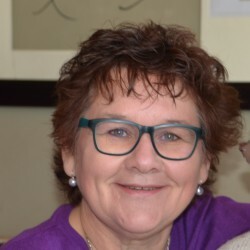 A gentle, wonderful guide by a hospice nurse about death and dying and how it affects not only those who are on this final, inevitable road, but the loved ones they leave behind. I only wish I had found this book during the last 18 months of my beloved Dad's life. At times leaning towards the saccharine, BLESSING OUR GOODBYES is mainly a soothing, helpful "chat" about questions we all wonder about but don't know where to seek answers - what do the dying feel? How do we act around those dying? What will our own death be like? 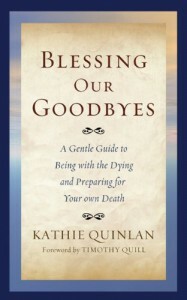 Quinlan compassionately explores these and other questions in a conversational tone that does much to remove the fear surrounding the thought and experience of death in today's modern world which tries to ignore this inevitable part of life. Quinlan succeeds in making death as natural as birth and in doing so has brought me much comfort and, indeed, makes the final goodbye possible to be a time of peace and blessings as well as a time of sadness.